1. Preheat oven to 175 C (350 F) and grease and flour a 20cm x 30cm (9 x 13) pan. 2. In a medium bowl, whisk together flour and icing sugar. 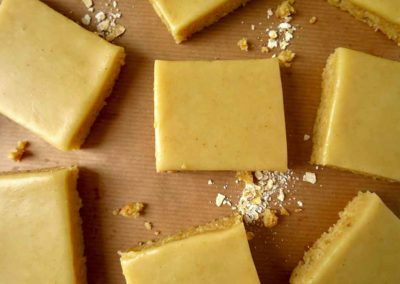 Cut the butter into small cubes and using your finger tips, rub into the flour until combined and crumbly (alternatively you could use a food processor) 3. Press mixture into bottom of pan and smooth with hands. Bake for 20 minutes or until just golden brown. 4. While the base is baking, prepare topping – In a larger bowl, sift sugar, flour, and baking powder together and whisk to combine. 5. Add slightly beaten eggs and lemon juice and mix well. Pour on top of warm baked base and bake for 20-25 minutes. 6. 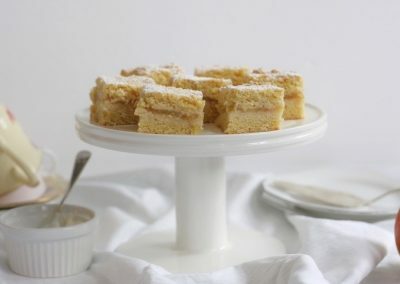 When cool, dust with icing sugar and cut into desired sized bars (either 12 large bars or 24 smaller bars). * Bars are best stored in an airtight container in the fridge and are best before 7-9 days. 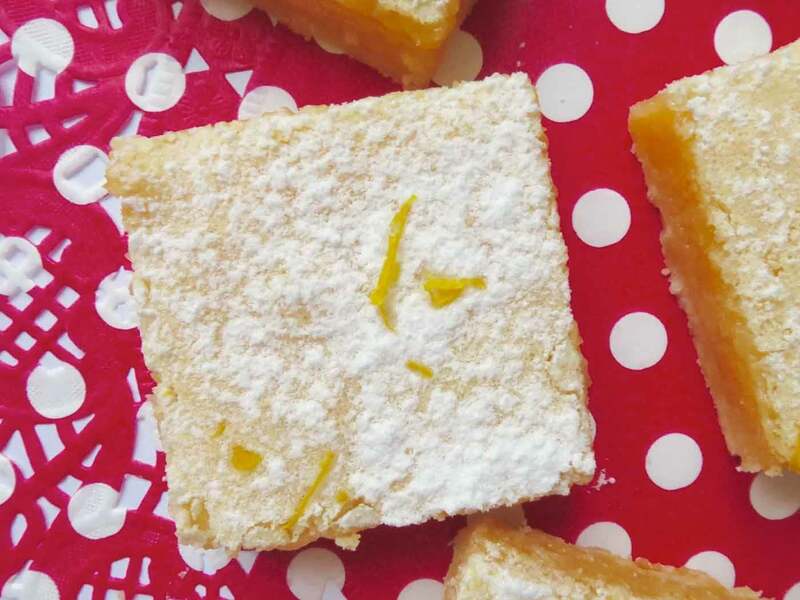 Sticky, gooey, and bursting with lemon zing. These bars just have a way of making life better. 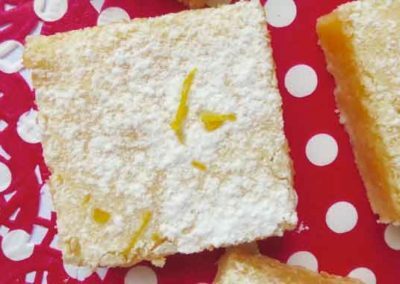 I’m not sure if it’s the buttery shortbread base or the indulgent lemon topping that does it, but somehow they just make people happy. 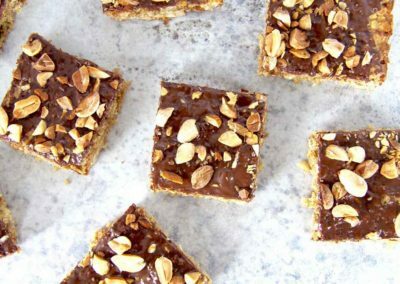 I’ve been making these bars for a long time now and they are a hit every time. Because of this, I made them for cafes here in Brno, bake stalls and also in my baking classes and sure enough they went down a treat. …and you know what? Today is your lucky day, because today is the day I share the recipe with you! I would love to claim the recipe as my own, but unfortunately I cannot. They come from the very first food blog I ever started reading, which was way back in 2007 sometime. Her name is Angie Dudley but you might know her better as Bakerella. She’s basically the mother of all cake-pops and she is to thank for this recipe. So now I gladly share it with you! Prepare to be amazed and prepare to be hooked. 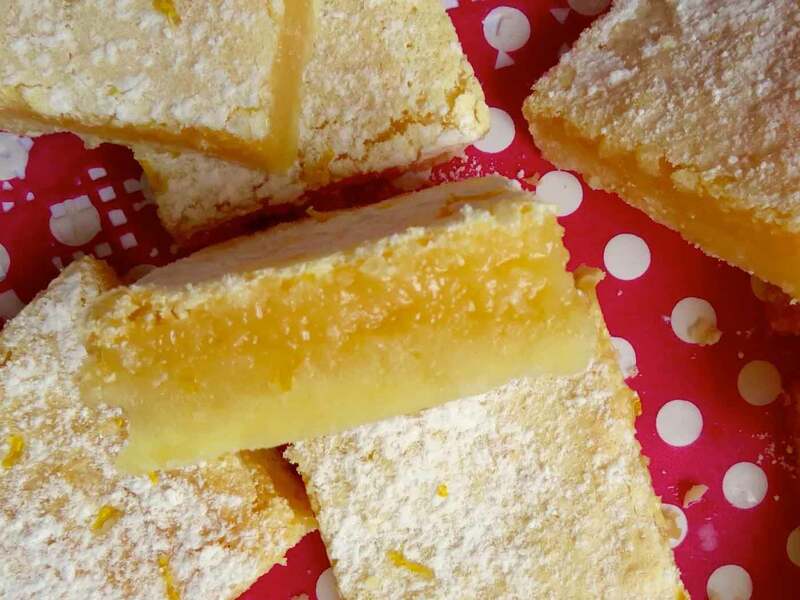 These sticky lemon bars are like no other. 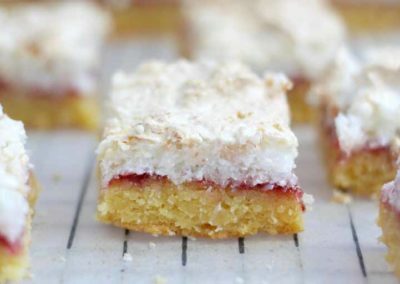 The base of these bars require the ‘rubbing in method’ just like when making these and these. 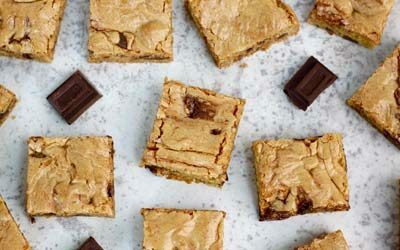 This means the base is extra tender and melt-in-your-mouth-delicious because the flour proteins are covered in butter and are better protected from forming too much gluten (too much gluten means chewy and tough bars, which isn’t so nice). 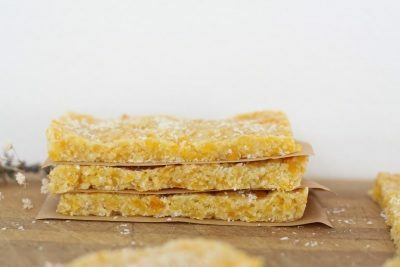 Note on baking time: When baking these bars, I like to bake them for exactly the suggested time in the recipe to achieve a buttery, soft textured base with a gooey lemon topping. 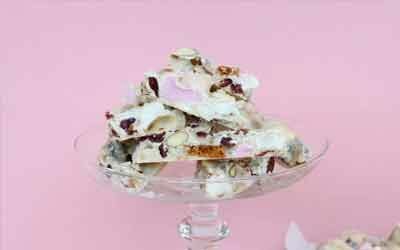 I also like to chop the edges off when cutting into bars and save these ‘scraps’ for snacks. 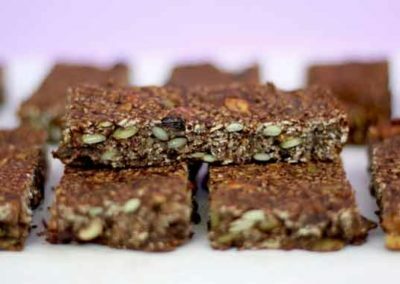 My baking students tell me the crunchy bits are the best part and therefore bake their bars a few minutes longer to achieve a crunchier base. So if you’re like me, bake them for suggested time, but if you like them crunchier, leave them baking for 5 or so minutes extra.